G. mirabilis Deprá et al. 2014 is endemic to the rio Aripuanã basin in Mato Grosso state, western Brazil, and has been collected only above the large waterfalls known as Saltos das Andorinhas e de Dardanelos. 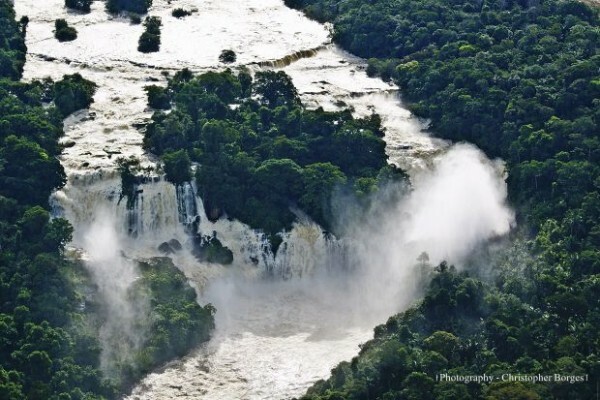 These falls represent a natural barrier for fishes and there are now eleven endemic species described from the upper Aripuanã with more likely to follow. The new species can be distinguished from congeners by the following combination of characters: middle of flank with a longitudinal row of 2-6 black spots in individuals larger than 80 mm SL, spots other than midlateral spot absent in some smaller specimens; live colour pattern of adults unique within the genus, comprising iridescent blue, round or vermiculate markings on the head; 4½-5½ scales between first dorsal-fin spine and upper lateral line (vs. 6½-7½ in other Geophagus species); adult specimens with only a single series of scales on each inter-radial membrane of the ventral caudal-fin lobe, which do not overlap the neighboring series and do not completely cover the base of the fin rays (vs. two such scale series which overlap with the neighbouring series and completely cover the fin ray bases in all other Geophagus species). 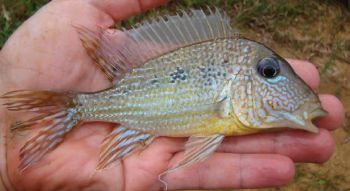 The specific name is derived from the Latin mirabilis, meaning ‘extraordinary, marvellous, admirable’, in reference to the species’ unique colour pattern which is more reminiscent of some members of the related genus Satanoperca than other Geophagus species. For further information see the full, open access, paper: Deprá, G. C., S. O. Kullander, C. S. Pavanelli, and W. J. da Graça. 2014. 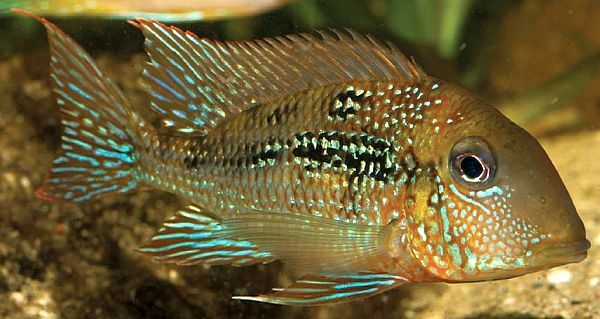 A new colorful species of Geophagus (Teleostei: Cichlidae), endemic to the rio Aripuanã in the Amazon basin of Brazil. Neotropical Ichthyology 12(4): 737-746.